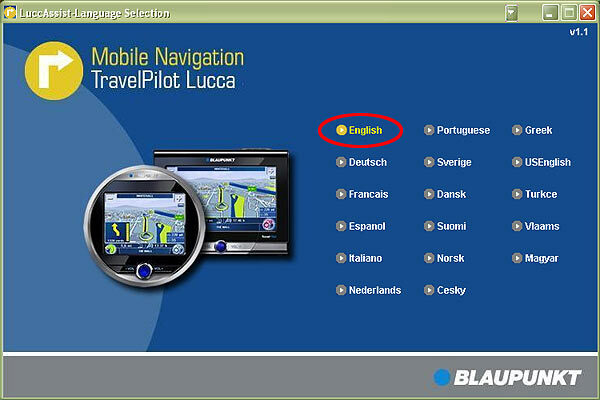 ▷ Blaupunkt TravelPilot Lucca 3.5 update. Speedcam for your maps. Download update. Free custom download. 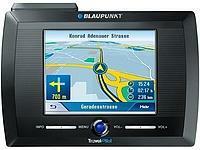 In order to update your GPS device: Blaupunkt TravelPilot Lucca 3.5 with the latest update, follow next instructions. 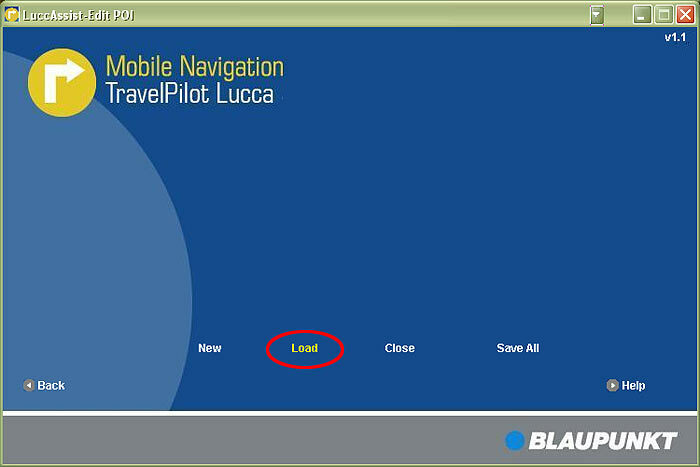 First of all, be sure you got the update file for your Blaupunkt TravelPilot Lucca 3.5 device, downloaded from SpeedcamUpdates.com. 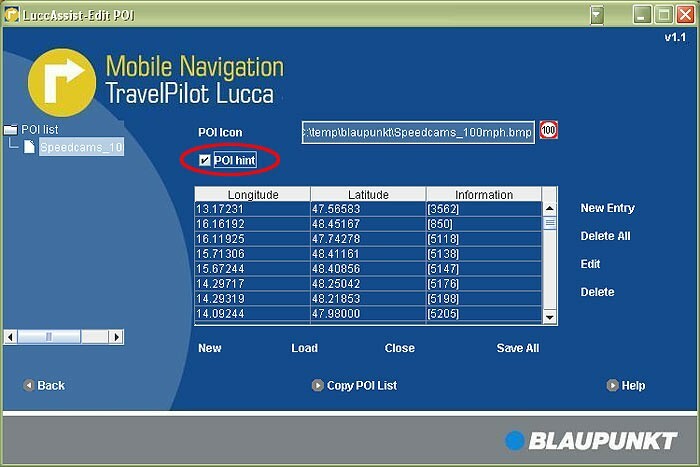 In order to install the speedcam information into your Blaupunkt TravelPilot Lucca 3.5 device you have to download LuccAssist application. Click the next link to download. Connect your Blaupunkt TravelPilot Lucca 3.5 device to your PC using USB cable. Run LuccAssist application. 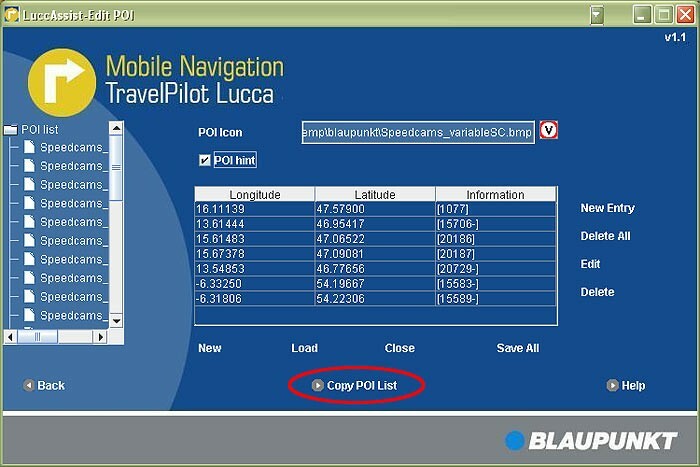 When you finish processing all files in the folder, click "Copy POI list" to transfer all the information into your Blaupunkt TravelPilot Lucca 3.5 device.